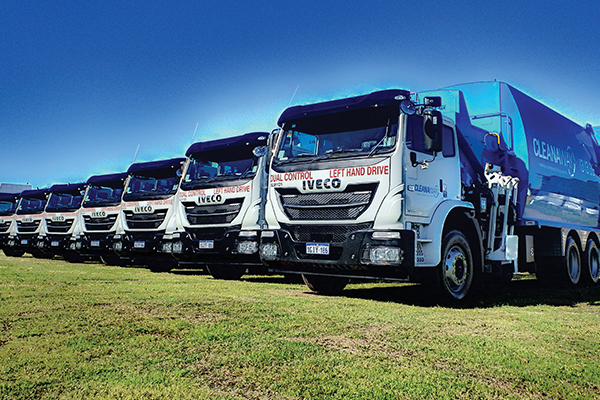 A track record of high performing refuse vehicles has seen waste management company SUEZ turn to IVECO’s ACCO model to help service its latest contract in Brisbane. 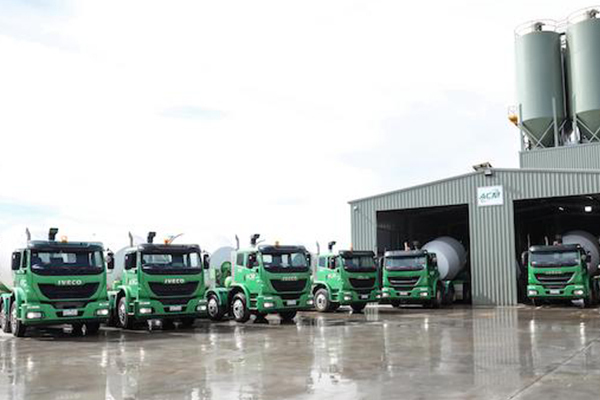 Concrete and construction products company, ACM, has opened a new batching plant in Rockbank, Melbourne, acquiring 10 new IVECO ACCO 8×4 agitators to service customers in the region. The trucks all feature 340hp engines with 1,500Nm of torque and are coupled to six-speed full automatic transmissions, and while the vehicles will only cover approximately 20,000km per year, they will face high running hours. The new ACCOs are all equipped with 7.4m3 bowls and will service a range of customers across civil, residential and commercial sectors, according to ACM General Manager, Digby Crawford. “The great thing about the ACCOs is that they are fit for purpose – the trucks and all of the driveline componentry is proven, reliable and long lasting,” he said. “Maintenance on the trucks and availability of parts is another benefit, you can find replacement parts everywhere, which minimises the likelihood of any downtime. According to IVECO, Digby did extensive research before choosing to purchase the ACCOs. “We looked closely at five different brand trucks all up, but in the end the ACCO had the best all-round package,” Digby said. Suspension on the trucks is handled via rear rubber block, while up front the trucks run integrated air suspension, a combination that has reportedly drawn praise from ACM drivers. “The drivers are complimentary of the ACCOs, they drive well and in particular they mention that the ride is very smooth and comfortable,” Digby said. ACM has chosen a bright green livery for its fleet to reflect its environmentally-charged company tagline, ‘Redefining Green’. “The Rockbank facility and the 10 new ACCO agitators are important components of ACM’s future growth and are helping us ‘Redefining Green’,” Digby said. 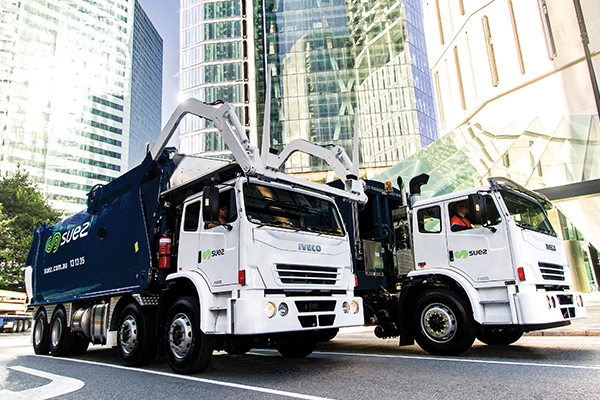 Waste management company SUEZ, has placed a record order of 110 IVECO ACCO compactors to service a new 16-year contract with Brisbane City Council. SUEZ has held continuous collection contracts with the municipality since 2002, with the new agreement officially beginning in July 2018. The new ACCO models include 104 6×4 units fitted with Superior Pak side loaders for curb side collection, with the remaining vehicles configured as 8x4s, featuring Bucher Municipal front loaders for high density, multi-dwelling collection. 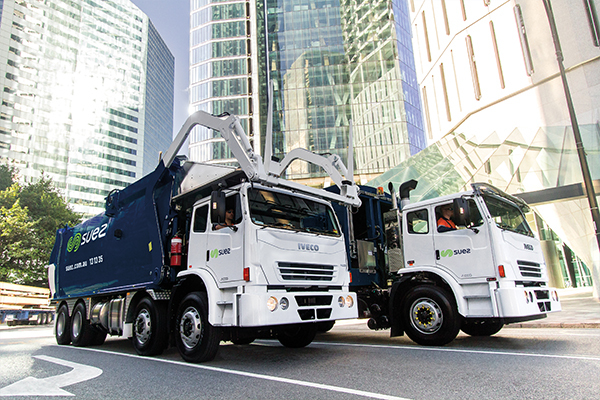 “There were several main factors that influenced our decision to select ACCO models for this new Brisbane City Council contract,” said SUEZ Recycling & Recovery Australia Queensland State General Manager, Peter Hudson. 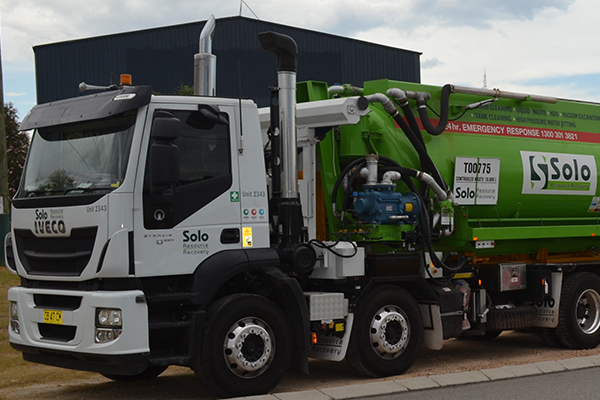 “SUEZ has a long an extensive history with IVECO and with ACCO – the ACCO is a staple of the waste industry particularly for side loader work. “The ACCO has provided us with a great service history with over 95 per cent uptime and helped us service Brisbane City Council to a very high level – we achieve a bin miss rate of just .06 per cent, and this figure includes people that forget or place their bins out, or who bring them out late for collection,” he said. 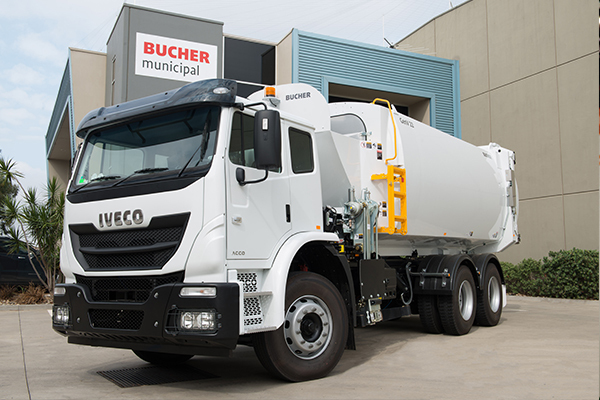 While the truck performance itself was a key consideration in selecting ACCOs for the new contract, according to Hudson, it was IVECO’s ability to offer a full service and maintenance provision that also weighed heavily. Maintenance not only covers the truck cab chassis but the compactor bodies as well, with IVECO working closely with Superior Pak and Bucher Municipal to provide a complete maintenance service. “Curb side collection work is notoriously tough on the trucks, there’s a lot of strain on the braking system, steering and tyres,” said Hudson. “With IVECO we get a bumper to bumper maintenance solution – SUEZ doesn’t operate its own workshops, our preference is to concentrate on our core areas of business. “We pay a fee and vehicle and maintenance is taken care of, there are KPIs set against vehicle performance so this provides the additional peace of mind of knowing that the trucks are maintained to the highest levels and will perform for us,” he said. The large majority of the new ACCO fleet will likely see service for around eight years, over this time the trucks will cover between 400,000 and 500,000 kilometres, accrue around 18,000 hours and log average speeds of approximately 25 kilometres per hour, proof of the demanding start and stop nature of the work. An additional benefit of SUEZ’s long association with IVECO according to Hudson, is having an excellent relationship which greatly assists should any unforeseen challenges arise. “Having IVECO based in Australia and having worked in partnership with the company for many years, it’s easy to pick-up the phone if extra support is needed or if something comes up that needs attention,” he said. “There’s never a problem in dealing with them and they can also offer additional flexibility during the truck build process, the 8×4 front lift ACCOs for example will have a non-standard wheelbase. We’ve specified a shorter wheelbase to get an improved turning circle for servicing the multi-dwelling locations where space is tight. With all needs for the Brisbane City Council contract having been ticked at a corporate level, SUEZ also sought feedback from drivers during a consultation process and overwhelmingly their familiarity with the ACCO product saw it rate well according to Hudson. 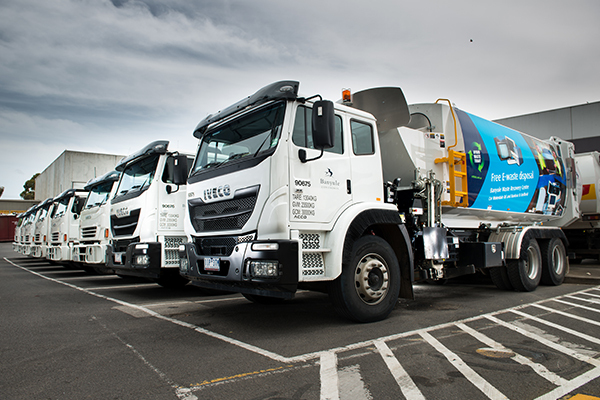 IVECO Australia National Key Account Manager, Scott Slater, said this latest supply of refuse collection trucks to SUEZ marked a long collaboration between the two companies. “IVECO is extremely pleased to have supplied the locally-manufactured ACCO product to SUEZ for many years now,” said Slater. “It’s a strong endorsement of the ACCO range from one of Australia’s leading recycling and recovery companies. More broadly this ongoing partnership also says a lot about IVECO as a company and our ability to closely meet the needs of SUEZ and of Brisbane City Council. 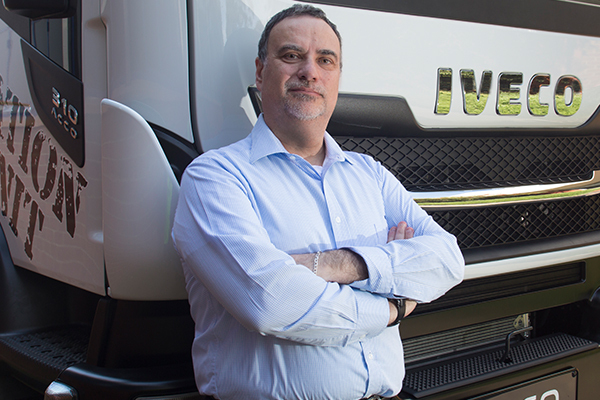 “The ACCO’s proven history of efficient and reliable performance in this industry and IVECO’s ability to collaborate and manage third party body builders to deliver a turn-key solution certainly put our company in a strong position to win this tender,” he said. The new fleet is expected to be complete and ready for delivery to SUEZ throughout May and June before gradually taking over collection duties from 1 July 2018. IVECO launched its 2017MY Daily van and light truck range in November. An Australian manufacturing presence is providing Iveco’s ACCO model with a competitive edge in the marketplace, while also creating local jobs, according to Michael Jonson, IVECO Australia Managing Director.